Elgood’s are delighted to announce that selected Morrison’s stores in East Anglia now stock our award winning bottled beers. Philip Pope, Mayor of the historic town of St Ives, is also the landlord of Flood’s Tavern in the town which is owned by Elgood’s Brewery. 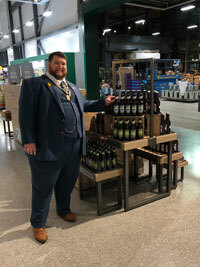 Phil, with a selection of Elgood’s bottled beers at the new Morrison’s store in St Ives. 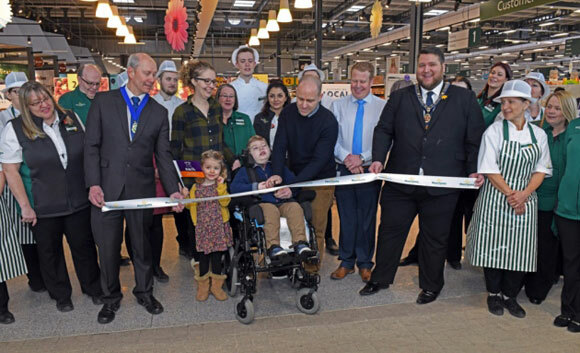 The photos show Phil officiating at the opening of the new Morrison’s store in St Ives where a selection of Elgood’s bottled beers are on offer to customers. Please see here for a full list of Morrison’s stores that stock Elgood’s beers. Wisbech brewers Elgood & Sons were very proud to receive a Silver Medal for the latest addition to their range of sour beers, Coolship Mango Sour. Judged by brewers and industry experts and organised by the Society of Independent Brewers (SIBA) at their flagship BeerX event in Liverpool, the awards run across a huge range of beer style categories in cask, craft keg, bottle and can. Elgood’s Coolship Mango Sour was awarded Silver in the Speciality Light Beers category. Coolship Mango Sour takes its place alongside the rest of the Elgood’s range of award-winning ales and speciality beers. 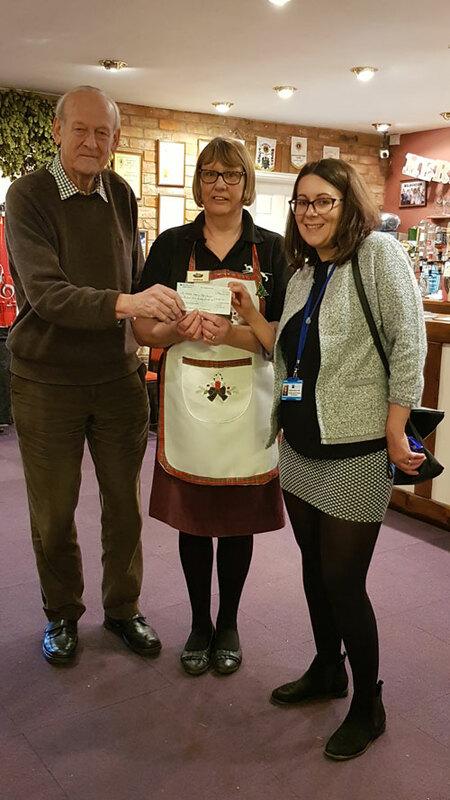 Wisbech Brewers, Elgood & Sons, were delighted to hand over a cheque for £1,500 to Rebekah Mills of Tapping House at the Brewery’s Christmas Open Weekend. A raffle and other competitions held over the course of the weekend realised £200. Prizes included a homemade Christmas Cake and Christmas Pudding, donated by Elgood’s employee Sheila Wright, who first came up with the idea of holding a raffle in support of the Hospice. Other prizes included a ham donated by Plater’s Family Butchers of Wisbech, a hamper donated by the Brewery and several items donated by the various Craft Stall holders. 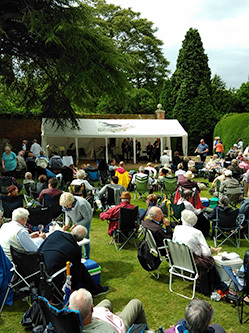 The proceeds from the weekend were added to those raised at various other events throughout the year, including the annual Jazz in the Garden afternoon organised by Dave & Sheila Dyer, which raised £450; donations and booking fees from the Craft Fairs in May and September, £490; Elgood’s Beer Festival, £221; plus several other individual donations. Friday 13th proved a lucky day for Carolyn Godfrey of Tydd St Giles when she was presented with a cash prize of £100 by Belinda Sutton, MD of Wisbech Brewery, Elgood & Sons. 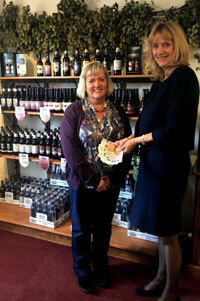 Belinda Sutton presents Mrs. Godfrey with her £100 prize. Mrs Godfrey had taken part in a ballot of visitors at the recent Beer Festival, which took place at the Brewery in September. Voters were asked to vote for their top 10 beers at the Festival and all the ballot papers were entered into a prize draw. The results of the ballot will be used by the Brewery team to come up with ideas for new recipes to add to Elgood’s portfolio of award-winning beers. The presentation took place in the Brewery Shop at the North Brink premises, a new facility that has been open since May this year to extend Elgood’s retail presence in the town. The Brewery Shop is open 9-5 Monday to Friday all year round, the Visitor Centre Shop is open from May to September and there is an on-line shop offering home delivery.